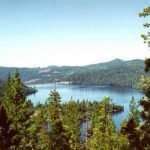 Pinecrest Lake is a 300 acre lake owned by Pacific, Gas, and Electric Company located 30 miles east of Sonora and about 20 minutes from Twain Harte. From the Bay Area, it’s about 2 ½ hours -3 hours. 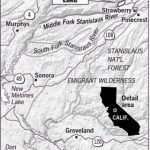 It is located at 5,600 feet in elevation. The lake is stocked with rainbow trout and has a local grocery store. You need a fishing license to fish, but you may get one at sporting good outlets in many department and other retail stores. Visit fs.usda.gov and search for Pinecrest Lake for more information. 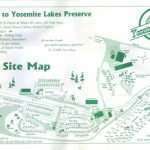 Camping is great at Pinecrest Lake because they have 300 camp sites with tables, grills, flush toilets, and piped water in the Pinecrest Campound and Meadowview Campground. Pioneer Trail Group Campground has similar amenities, but only 3 sites. There are also a wide variety of day use sites. Around Pinecrest Lake you will find a boat launch, 50 picnic sites with grills, flush toilets, and a designated swimming area. For hikers, there is the Pinecrest National Recreation Trail, which is 4 miles and goes all the way around the lake. In winter, Pinecrest Lake is a great place for downhill or Nordic skiing. Boating is very popular and a lot of fun on Pinecrest Lake. Get a group of friends together and rent a party boat! The Marina is open June 10-September 7: 6:00am-8:00pm and September 8-October: 8:00am-6:00pm. 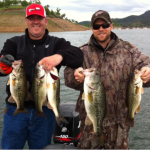 Their website is http://www.pinecrestlakeresort.com/marina%202006.htm and you may call them at (209)965-3333. They have many different kinds of boat including motor boats, paddle boats, kayaks, sailboats, and party boats.